Take a look at the current crop of MPVs and it’s easy to see why buyers are so keen to ditch their conventional hatchbacks and saloons. If you regularly carry a full complement of passengers and luggage the extra seating and practicality makes life much easier. Here are the top 10 as decided by you. BMW’s foray into the world of people carriers manages to be both stylish and practical in equal measure. One-touch folding rear seats and an electric tailgate ensure its user friendly, there’s 1510 litres of maximum space available and the rear seats slide by 150mm for added versatility. It’s also nice to drive while the cabin is comfortable and boasts impressive solidity and material quality. 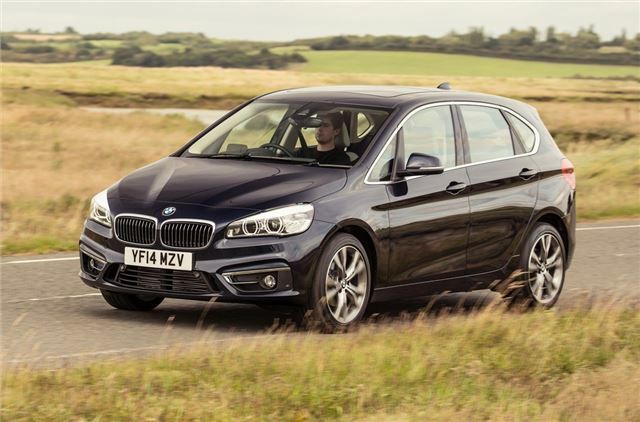 The petrol-powered 218i gets BMW’s refined and frugal 1.5-litre three-cylinder engine which is an impressive unit. Smooth and characterful it makes a very strong case for sticking with the green pump at the forecourt, although it’s hard to ignore the diesels if you're covering big mileages..